Skinner's Field & Trial Lamb & Rice Puppy Food is formulated to meet the nutritional requirements that puppies has in their early development. It contains British lamb meat meal as the single meat protein source which provides a lower protein level which ensures steady growth for medium and large breeds in particular. This highly digestible, wheat gluten free meal also contains a unique blend of traditional culinary herbs known for their beneficial properties: seaweed, alfalfa, thyme, fennel, basil, parsley, peppermint, garlic, paprika, rosemary, sage, aniseed, fenugreek and yucca. Vitamin A 13,000 iu, Vitamin D3 1,925 iu, Vitamin E (as alpha-tocopherol acetate) 310 iu. 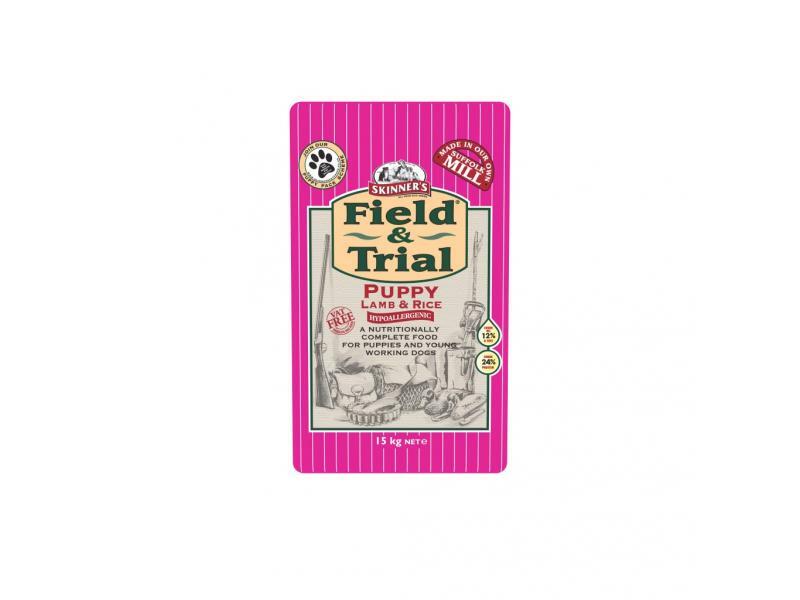 There are currently no questions for Skinner's Field & Trial Lamb & Rice Puppy Food - be the first to ask one!